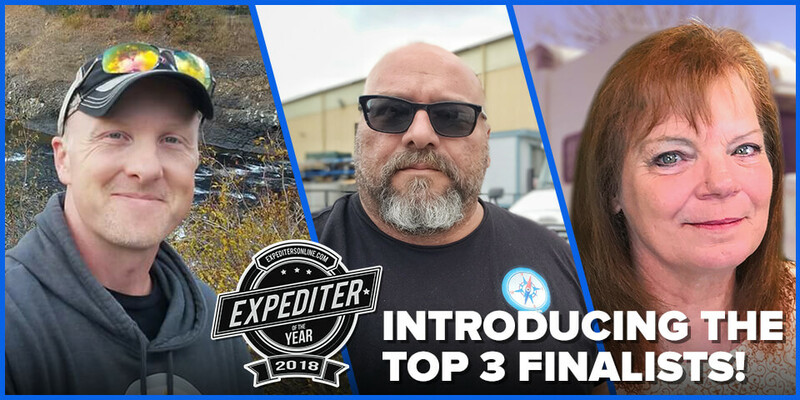 So....without further ado, meet this year's finalists for "Expediter of the Year." One way Tim has found to help other expediters is to start a Facebook group with his brother Allen. The group is called “Transportation Life ‘Wheels, Wings & Rudders’” (https://www.facebook.com/groups/TransportationLifeWWR), which has grown to over 1,700 members. “It has become a place for rookies and veterans alike to come and learn something new, get information on happenings on the road, and meet and make friends,” says Dawna. "My brother and I take a lot of pride in trying to better the industry by bettering the drivers throughout the industry," says Tim. "The more intelligent, the more educated drivers we have out there, the easier it will be for all of us to get a decent wage from state to state as expediters." Nancy's definition of success in expediting: "If you put love, care, dignity, and respect into your work, it shows customers that you really care about them. And if you give them that respect and dignity, it helps a lot of very pressured customers relax and calm down." Says Christine in her nomination of Eric: "There's not a day that goes by that he's not all ears, willing to give as much time as they need from him. No matter who the drivers or future owner-operators are, Eric is up front and doesn't sugar coat any advice that's asked of him—whether it's about becoming that proud van owner or just keeping that driver on a positive mindset when sitting for hours or days when freight is slow." "I became a fleet owner to be able to help others who are wanting to better themselves," says Eric. "It's not a charity, but it's definitely about being able to mentor someone. And when I mentor them, I tell them we have three core values that we have for our fleet: commitment, integrity, and excellence. And we believe in this because we want to be able to encourage our drivers to grow for themselves. And we're here as fleet owners to assist them and mentor them—to give them direction."